WSOHOIDPS (A SHIP IN THE WOODS) is a non-profit incubator hub working to engage the community through elevated dialogues in art, science, music, new media and culture based in Southern California. Through diverse curated events, residency programs, and interdisciplinary collaborations, WSOHOIDPS has become a thriving community of innovative thinkers and supporters addressing social and environmental issues that influence our ever-evolving experience of the world. As a foundation we have developed partnerships with other inter-disiplinary leaders and non-profit organizations. Each continue to create new collaborations with those interested in engaging community through creativity. A SHIP IN THE WOODS is educating/mentoring students from High Tech High. The students are learning leadership skills, organizational development skills, business skills, and marketing skills. Our goal is to inspire and expose them to new opportunities and life skills they cannot learn in school. Thus improving their chances to embrace new possibilities. We are also partners with San Diego River Valley Conservancy. During each event the conservancy presents educational site specific installations that address issues pertaining to our environment. They are offering new ideas and solutions from water conservation to demystifying wild fires and more. We also work with community colleges and universities throughout San Diego working hand in hand offering emerging artists a space to showcase their work. A SHIP IN THE WOOD is a platform for organizations to share their message as it relates to initiating dialogue with the community to uncover solutions to issues within our daily lives. 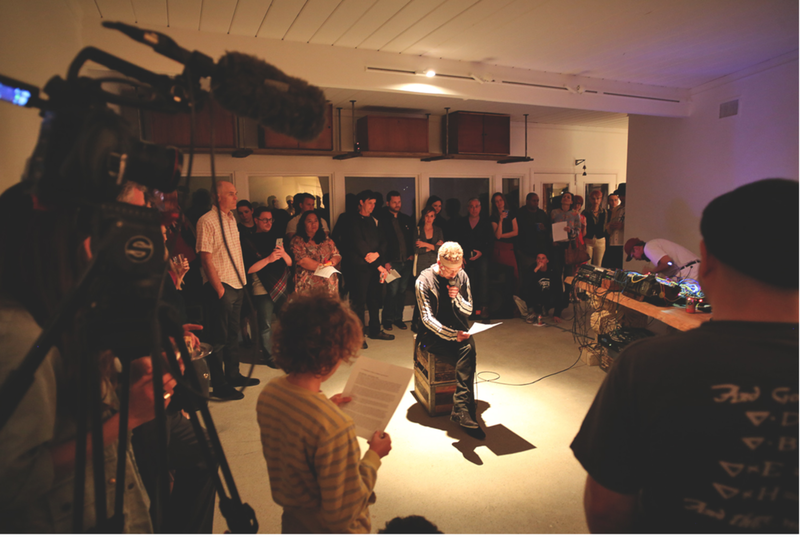 One of our residents 1 + 1 = 3 is Neuroscientist Stephen Whitmarsh, artist Per Huttner and musician Jean-Louis Huhta. Together with neuroscience engineer Robert Oostenveld, they have developed the EEGsynth (www.EEGsynth.com). The EEGsynth is a tool that can be used by neuroscientists, musicians and artists in their respective fields of experimentation and exploration. WSOHOIDPS has been 100% run by volunteers and is a labor of love for its co-founders who have invested their time, labor, and money to provide a permanent platform for the creative community. With your support we will be able to continue and expand our programming for years to come.